Award winning essayist Scott Russell Sanders once compared the art of essay writing to ‘the pursuit of mental rabbits’—a rambling through thickets of thought in search of some brief glimmer of fuzzy truth. While some persist in the belief that essays are stuffy and antiquated, the truth is that the personal essay is an ever-changing creative medium that provides an ideal vehicle for satisfying the human urge to document truths as we experience them and share them with others—to capture a bit of life on paper. 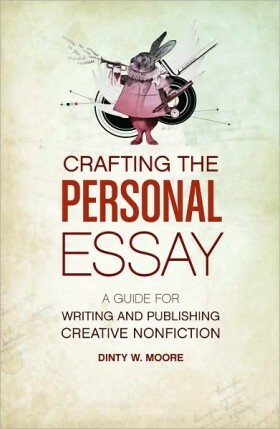 Crafting the Personal Essay is designed to help you explore the flexibility and power of the personal essay in your own writing. This hands-on, creativity-expanding guide will help you infuse your nonfiction with honesty, personality, and energy. Brimming with examples, exercises, and sample essays, this indispensable guide is designed to help your personal essays transcend the merely private to become powerfully universal. Read an excerpt, HOW TO BRING YOUR VOICE TO LIFE IN PERSONAL ESSAYS.